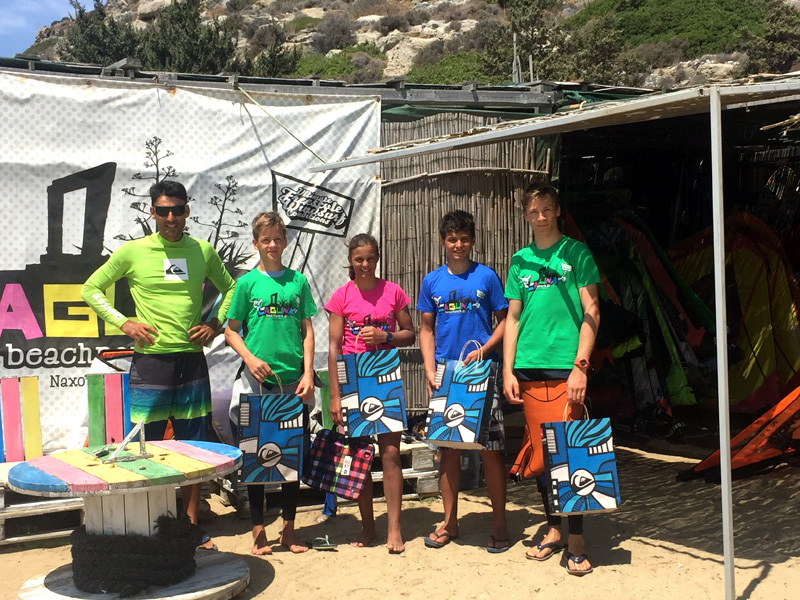 Laguna Beach Park junior windsurf camp. 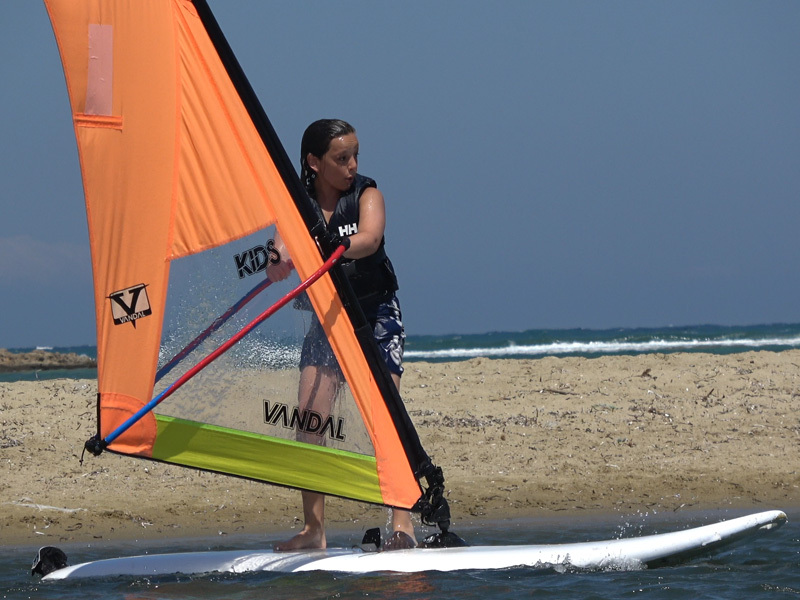 Stam Promponas, the kid’s favourite instructor with the rest of the team of Laguna’s instructors offer to all kids and teenagers a fabulous experience of the magical world of windsurfing. The camp consists of two groups (beginners and advanced) and the aim is only to combine fun and knowledge. *groups with less than 3 persons the duration of the lesson will be 1 hour instead of 2. Two freestyle clinics will take place this year at the Laguna beach park station. Laguna’s beach park show is already a tradition at the Lagoon of Naxos that cannot be missing of this summer calendar. 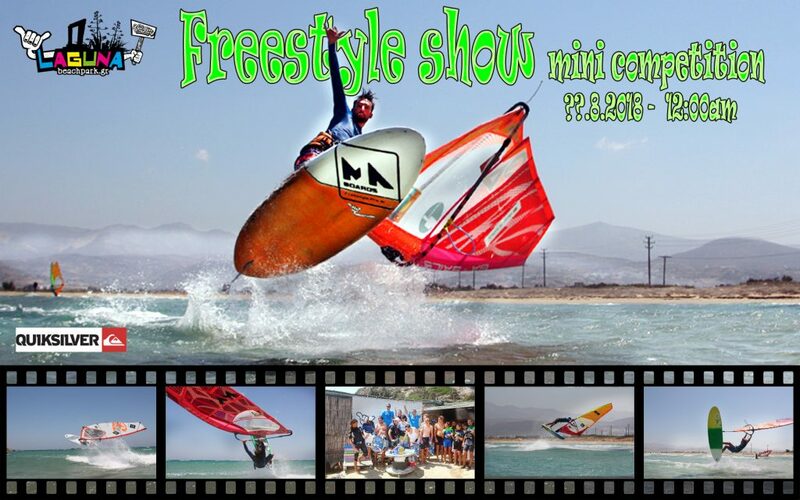 Show with talented freestyle windsurfers and a small competition will take place in the small lagoon. The date is subject to change depending on the forecast during 13-18 of August. Check the pictures below from the 2017 freestyle show!